For as long as I can remember, they’ve always been there. As we left Maynooth, usually after stopping for gas and an ice cream on the first long weekend of summer, we’d see them dangling by their laces from the telephone wire above the only road that led into and out of town – a pair of denim blue sneakers. They were a family landmark. My parents had bought the cottage 25 years before. It was a homecoming of sorts for my dad. He was born in the backcountry of the Barry’s Bay hills to Polish immigrants enticed to Canada by the promise of farmland if they were willing to clear the treed terrain. After the end of the war, my dad left Barry’s Bay for Toronto to start fresh, establishing a general contracting business and marrying my mom – a city girl from Montreal assigned to write my father, a stranger, as part of the war effort. My parents surprised us one night after Sunday dinner as my mom was clearing our plates from the table. “We bought a place on Kaminiskeg,” my father said matter-of-factly. 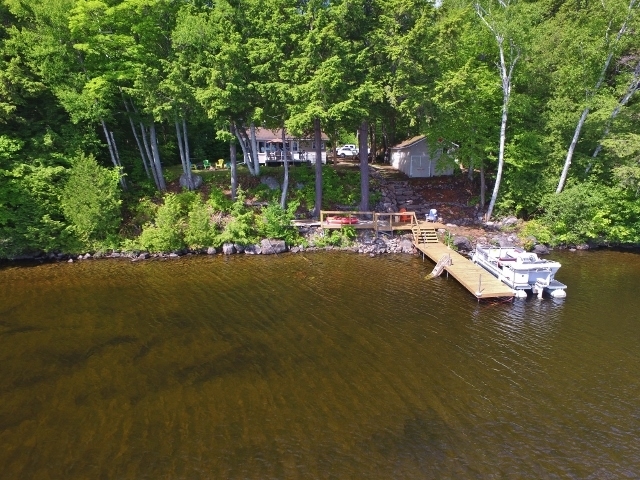 My three sisters and brother – all in our teens or early twenties – looked forward to the parties we’d host and the indoor plumbing the cottage had, unlike the our grandfather’s house closer to town where, as kids, we’d spent most of our time in Barry’s Bay. As the Friday night drive up north became more familiar, we would note the usual landmarks guiding our travel north: the chicken coop near leaning dangerously toward the ground outside of the town of Burleigh Falls, the sign announcing the town of Bancroft, the last major town on route 62 before our destination. Then between here and there, the town of Maynooth, and finally, as we exited town, the dangling sneakers. Maynooth wasn’t a place to write home about. Highway 62 was the main road in and out of this town, which had a gas station, an ice cream bar, and the shoes. My older sister, ever the authority, would say matter-of-factly that a drunken man had pitched them up there in a stupor one night walking home from the Legion. My younger and more mischievous brother imagined a kid like himself taking revenge on a school bully, launching his coveted Chuck Taylors over the line. My dad dryly said some lad was keeping them there for safekeeping until he needed them again. We all had our theories. The shoes were always a topic of conversation as we gassed up and hit the black top, anxious to make the final stretch to the lake. The first one to see them would squeal, “They’re still there!” as we rode underneath the phone line stretching above the highway. On our first trip up every the spring, the shoes were always a highly coveted sighting. This tradition continued as we invited our friends up to the cottage for parentless weekends. 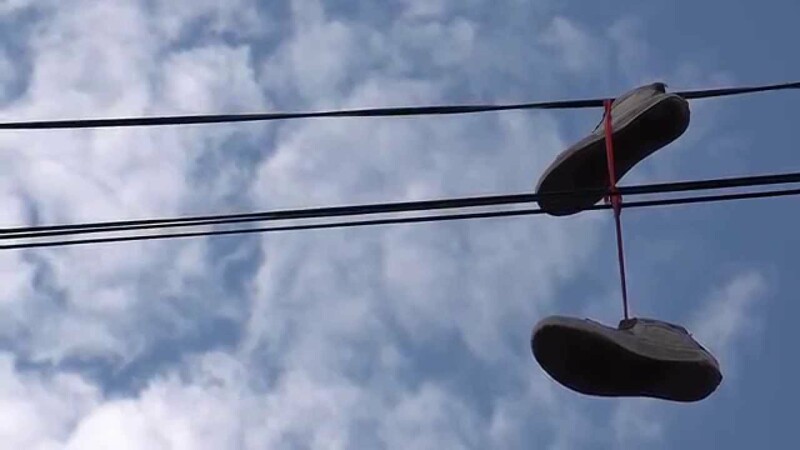 We had gotten used to the shoes hanging on that wire, convinced they weren’t ever going away. The shoes took on an air of nostalgia as we entertained our friends with theories of their origin. The shoes became an omen of good things to come at the cottage and the omen was rarely wrong. Those shoes on the telephone wire outlasted my dad who stopped going up to the cottage soon after his ALS diagnosis as he became frailer and less mobile. I’d visit him in his care home and report that the shoes were still on the line in Maynooth. Always a man of few words and with a disease robbing him of his body but not his mind, he’d get a twinkle in his eye, and with a slow shake of his head in disbelief, he’d erupt into uncontrollable laughter. The shoes were on the wire on his final journey home to the cemetery in Barry’s Bay. Nearly 25 years since we first packed up the cars on a Friday night, I’m still making the trip to Barry’s Bay, now with my two girls riding in the back seat. Freda shouts, “Are we stopping at the store?” She means the ice cream store in Maynooth and she already knows the answer – they just have to promise to save room for grandma’s chicken noodle soup, which will be warm on the stove when we arrive. Monica giggles and the twinkle in her eye is the same as her grandfather’s. As we drive out of town with chocolate-stained lips and sticky hands, we anticipate our usual landmark. The three of us are dumfounded as we cross under the telephone wire. The girls turn their little bodies around quickly to get a second look out the back of the truck at the empty wire. I peer at them in the rearview mirror and our wide eyes meet as the girls turn back toward me. They shoes are gone. “I guess he finally came back and got them!” I tell my girls. Pausing, uncertain if I’m kidding, they at last erupt into giggles. We start a new tradition that day, exchanging stories of what happens to the shoes next. 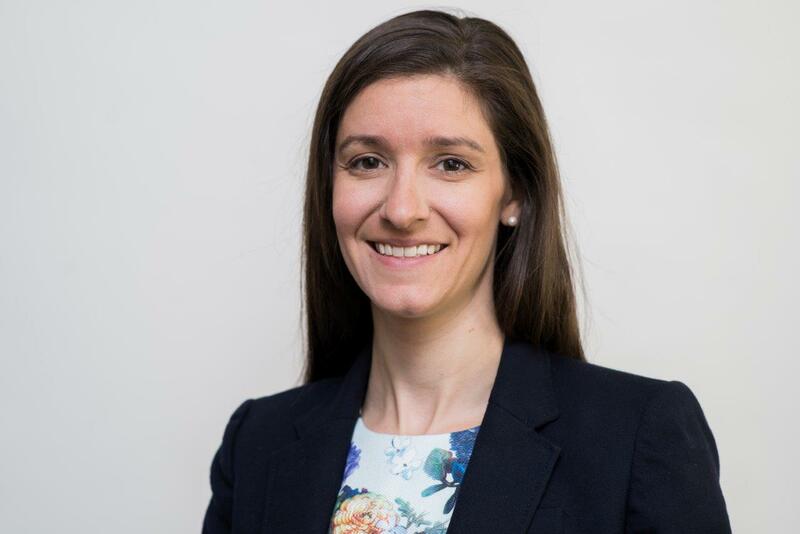 Christine Maika is an Improvement Lead with the Canadian Foundation for Healthcare Improvement. In her work, she advocates for health system redesign informed by the lived experience of patients and their families, often shared through storytelling and other engagement techniques. She is an editor and contributing author of a book released in December 2016 titled Patient Engagement – Catalyzing Improvement and Innovation in Healthcare. Christine is completing her Master’s in Public Health part-time and lives in Ottawa. See Brian Henry’s schedule here, including writing workshops and creative writing courses in Algonquin Park, Bolton, Barrie, Brampton, Burlington, Caledon, Georgetown, Guelph, Hamilton, Ingersoll, Kingston, Kitchener, London, Midland, Mississauga, Oakville, Ottawa, Peterborough, St. Catharines, Saint John, NB, Sudbury, Thessalon, Toronto, Windsor, Woodstock, Halton, Kitchener-Waterloo, Muskoka, Peel, Simcoe, York Region, the GTA, Ontario and beyond.